DTN Ag Policy Editor Chris Clayton reported on Friday that, “The farm bill that will be taken up by the Senate Agriculture Committee next week will look a lot like the current farm bill with some tweaks to commodity and conservation programs, but no radical changes from current law. “But unlike the current battles that plague the farm bill in the House of Representatives, senior Senate committee aides who briefed reporters in a phone call Friday reiterated over, over, over and over again that the Senate farm bill is bipartisan, bipartisan, bipartisan and bipartisan. Big news in the Senate! I’m on the Ag Committee and we’ve reached a bipartisan agreement on a new Farm Bill that will help strengthen Minnesota’s rural economy. This is what we can accomplish when we put politics aside and come together to create real solutions. With respect to the commodity title, Mr. Clayton explained, “The Senate bill keeps the Agricultural Risk Coverage for both the county and individual programs, compared to the House bill, which drops the individual plan that has limited enrollment. To improve ARC, the Senate increases the transitional yield and adjusts the trend yield in the formula calculation. Like the House legislation, the Senate bill also changes yield data used for ARC from reports by the National Agricultural Statistics Service (NASS) to crop insurance data. 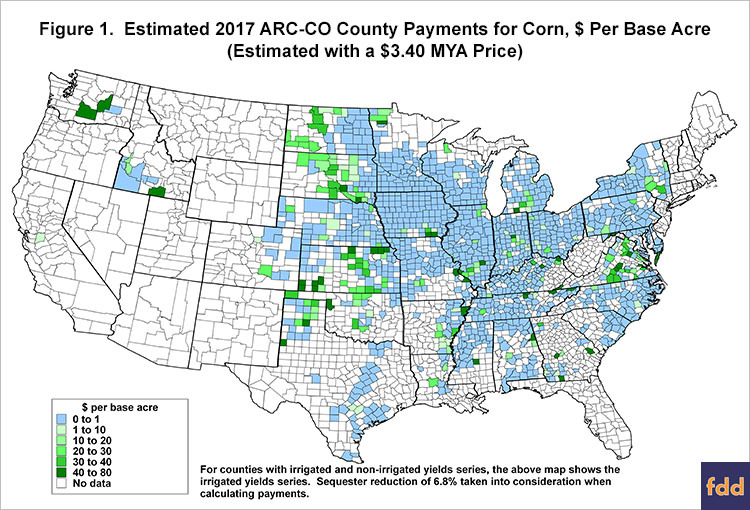 ARC payments would be calculated on the physical location of the tract of land as well. The Senate bill would also boost the speed at which ARC data is reported to better inform farmers about potential payments. The draft @SenateAgGOP #FarmBill has been released, and I’m glad to see they’ve incorporated several of my #ThuneFarmBill proposals. I’m looking forward to working with my colleagues to further strengthen it and get a pro-farmer, pro-ag farm bill to @POTUS as soon as possible. Meanwhile, Bloomberg writer Alan Bjerga reported late last week that, “A Senate committee released a farm bill Friday that doesn’t impose new work requirements on food stamp recipients as sought by President Donald Trump and many House Republicans, setting up a potential fight between the two chambers. “The legislation adds complications to negotiations underway in the House, where a version of the bill failed last month because of an unrelated fight over immigration. Lawmakers in that chamber are seeking to revive the bill with the work requirements included.